K–12 educators and administrators are tasked with building safe and effectivedigital learning environments, and this responsibility includes shielding studentsfrom inappropriate content online. Traditionally, this has involved monitoring and filtering web access by keeping listsof appropriate and inappropriate websites. But the Internet is constantly changing.The dynamic nature of the web makes traditional URL-based filtering—the processof categorizing entire web pages by their domains—a largely ineffective method ofcontrolling the kinds of content that students access. 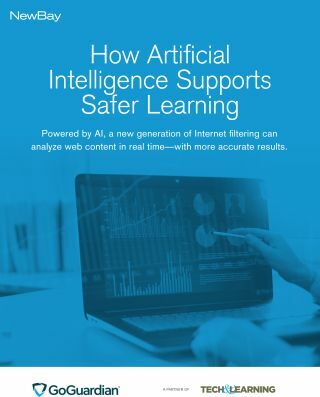 Fortunately, a new method has emerged that uses artificial intelligence to analyzethe actual content on web pages in real time, allowing students to see only materialthat educators deem safe and productive. Content-based filtering marks a differentapproach to keeping students safe online—one that’s proving to be both moreaccurate and easier for educators to manage.